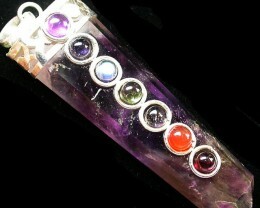 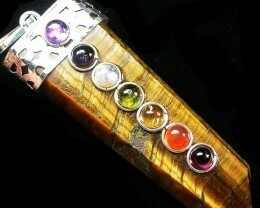 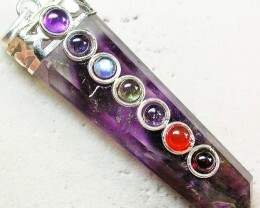 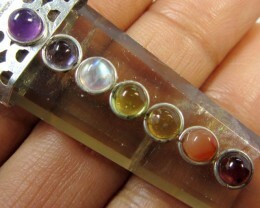 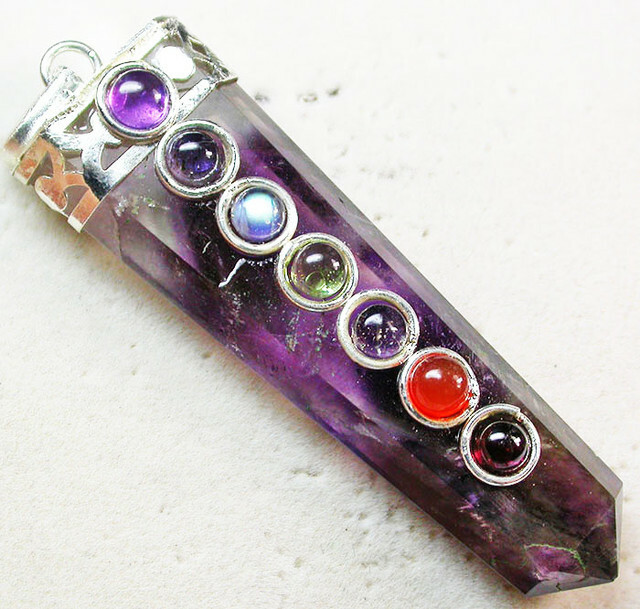 The chakra stones used are chosen for their affinity with the seven chakras as well as their singular quality and appearance. 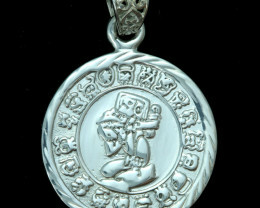 Of Hindu origin, and also used by Buddhist traditions, the mandala often represents the cosmos. 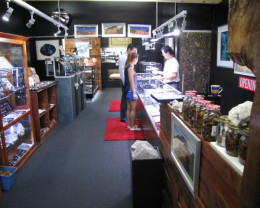 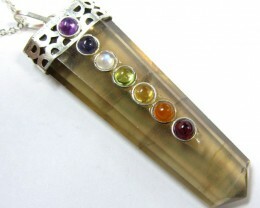 In many traditions it is used for establishing a sacred space. 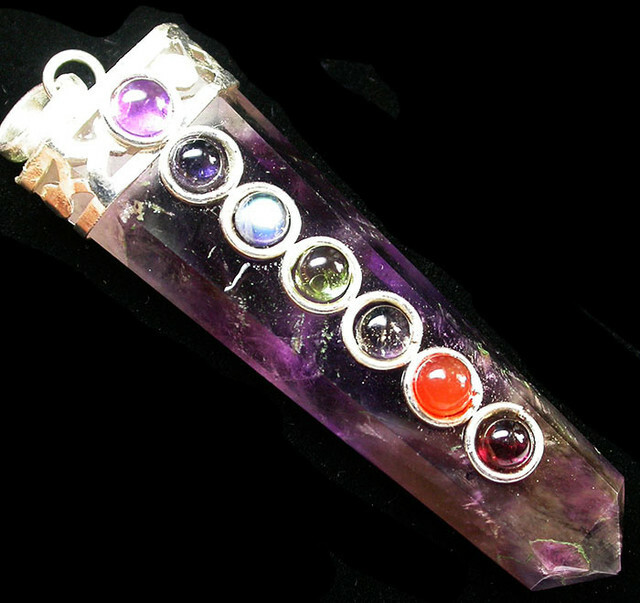 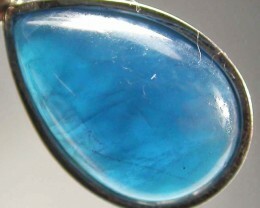 As a focusing aid and spiritual teaching tool it forms the perfect accompaniment the chakra stones in aiding meditation and chakra healing of the mind and body. 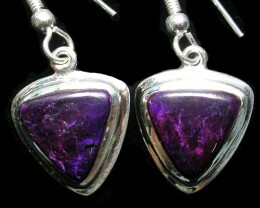 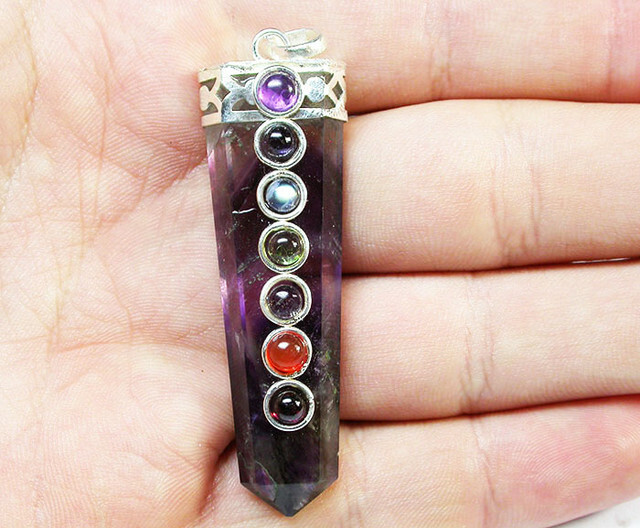 Perfect as a tool for chakra meditation and attractive enough to be worn every day, this pendant makes a wonderful gift.